In 1979 and 1980, writer-director William Friedkin angered New York’s gay community first with the production and then with the release of Cruising, a dark serial-killer mystery starring Al Pacino as a cop who goes undercover in the city’s sadomasochism-friendly leather bars. 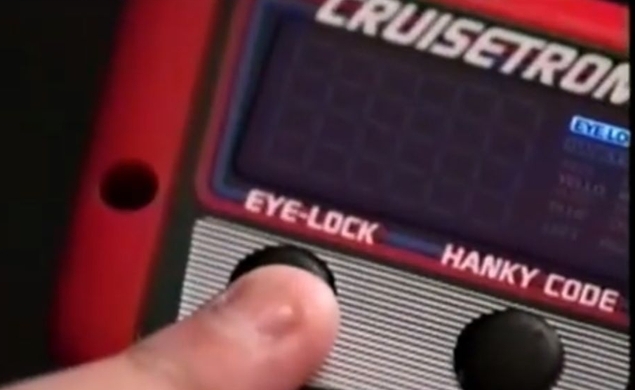 Brumby Boylston is a commercial video artist who applies his skills to an old-fashioned toy ad in “Cruising Electric (1980),” which imagines a world where Friedkin’s movie generated ancillary merchandise. The simple-but-funny joke and uncannily accurate retro look of “Cruising Electric (1980)” are worthy of vintage Saturday Night Live, but that isn’t the main reason why a film that’s barely over a minute long made it into this year’s Sundance Film Festival. This fake commercial works as a sharp piece of film criticism, taking Friedkin’s film to task for trivializing a gay subculture by turning it into the seedy, dangerous backdrop for a policier. Friedkin has always argued that his intent wasn’t to exoticize or demonize homosexuality, but “Cruising Electric (1980)” takes the stance that vocal Cruising-haters like the late activist Vito Russo took: that the film makes gayness itself into a cartoonish villain.